Only LED bulbs that have earned the ENERGY STAR label are independently certified to deliver high quality, save energy, and help protect the environment. 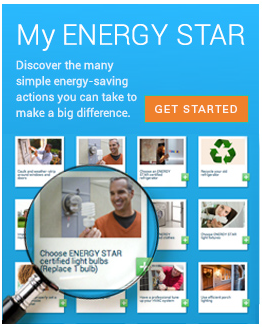 Choosing between the various types of ENERGY STAR certified light bulbs and deciding where to use them can be daunting. Here you’ll find guidance on choosing the right bulbs for your fixtures and locating a convenient retailer. For an interactive learning experience, check out the Choose a Light Guide. ENERGY STAR certified bulbs use less power (watts) than incandescent bulbs. ENERGY STAR certified bulbs are available in a variety of shades. Learn more about color and mood! Not all ENERGY STAR certified bulbs are dimmable. If you need a dimmable bulb, please check the packaging before you make your purchase. If all Americans replaced their inefficient light bulbs with ENERGY STAR certified LED bulbs, we would save $1.5 billion dollars in annual energy bills, and prevent 17 billion pounds of annual carbon pollution. Thank you for pledging to light the moment!